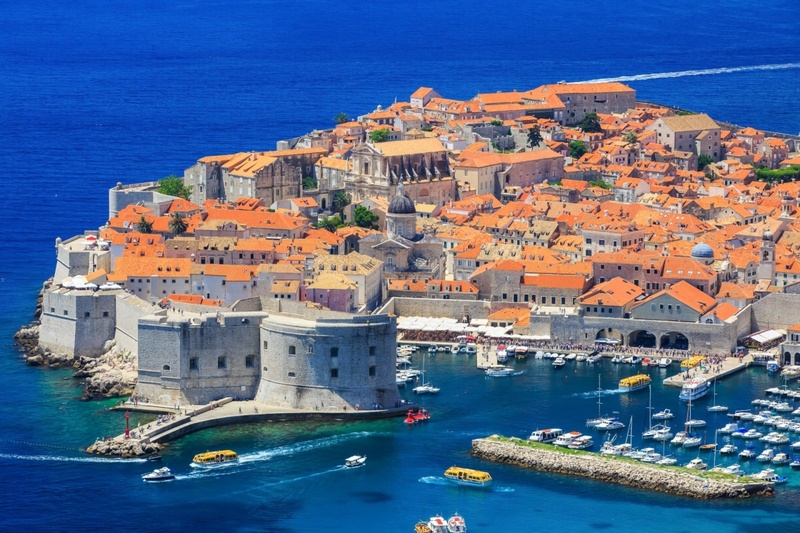 Although Dubrovnik is a small city, inhabiting a small number of approximately 40 thousand people, it offers a myriad of amazing locations to visit. Most of them are UNESCO protected and recognized around the world for their immense historical and cultural value. Old City, the ancient city centre is a monument itself, consisted almost entirely of historically significant buildings, some originating from the early medieval time and representing romanesque, renaissance and baroque architectural wonders. The Church of St. Blaise, the city’s saint patron, is a beautiful sacral object built in the early 18th century by the Venetian masters. 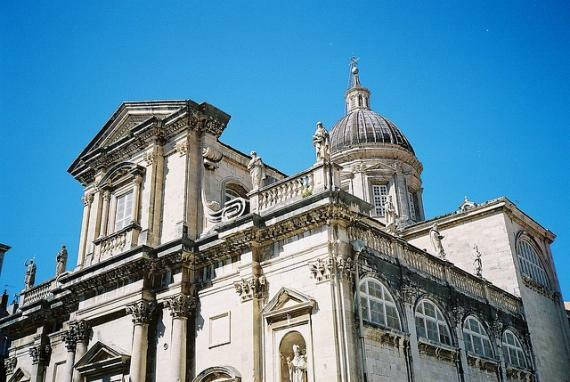 Its rich baroque style and the silver statue of St. Blaise make it one of the most recognizable sights of Dubrovnik. The Cathedral of Dubrovnik is a monumental baroque church built in the 18th century at the place of the former Romanesque cathedral lost in the great earthquake in the 1667. Its interior is decorated with numerous valuable paintings and relics. The cathedral is an important archaeological site as well, containing valuable remains of sacral objects originating from as early as the 7th century. Perhaps the most recognized part of Dubrovnik’s Old City is Stradun, the principal street dividing the Old City in two parts; northern and southern. It is the most beloved and certainly the most beautiful city street, the popular meeting place and the venue to all festivals and public events. Stradun is surrounded by numerous monuments and historical buildings, including the large Onofrio Fountain, the city bell tower, the famous Sponza Palace and the Orlando Column. 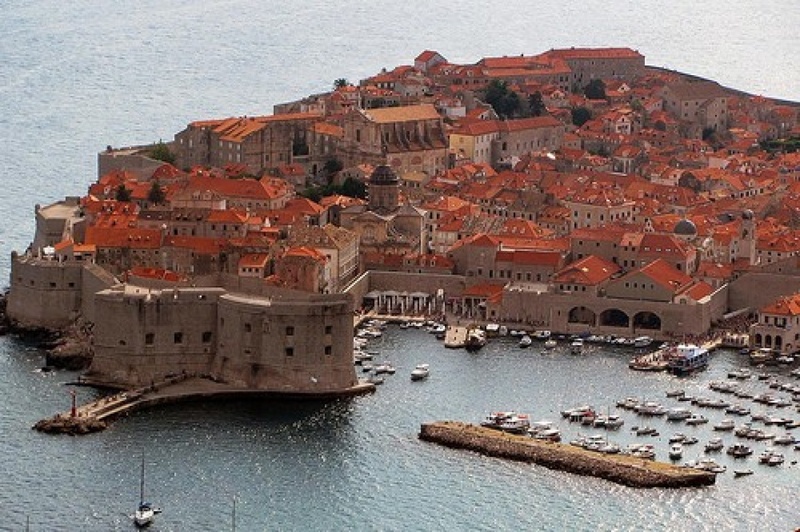 City walls with numerous fortresses are the biggest and the most monumental sightseeing location of Dubrovnik. The magnificent fortifying walls surround the old city core, being one of the most preserved monuments of such kind in Europe. The wall is almost 2 km long, consisting of five beautiful forts; Lovrjenac being the most famous one. The city walls have been defending the Republic of Ragusa since the 13th century and have not failed to do so even in the recent history. North of Dubrovnik rises mount Srđ with monumental fort Imperial, built in 19th century during the Napoleon’s occupation of the city. 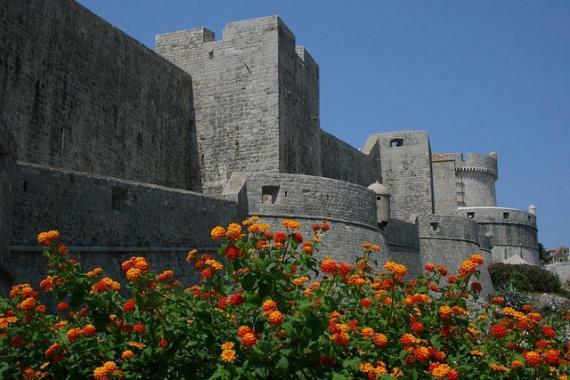 The fort is now a museum, also offering a breathtaking panoramic view of Dubrovnik and the surrounding areas. There are numerous old city streets and squares containing priceless historical and artistic treasures. A simple walk through the city streets will take you to an exciting journey through dark medieval times, right to the prosperous renaissance and the flamboyant baroque period. There are many city sites, such as the old Franciscan Monastery, Lazaretto and Old City Harbour that are worth exploring and learning more about.